At age 39, David Ortiz is wrapping up a very successful career at the MLB level. He is ready to play out the last year of his contract with the Boston Red Sox, although they do have a team option for 2016 and 2017. If he does not perform at a high level this upcoming year, this could be the end for the slugger. It’s pretty amazing what he has been able to accomplish, especially with the way his career started. 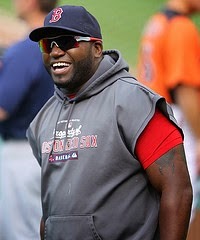 Nearly every single person who follows baseball knows about Ortiz as a member of the Boston Red Sox. He has been in the middle of their lineup every year since the 2003 season. As a member of 3 World Series championships, he is going to be remembered as one of the most successful players in team history. However, some people don’t realize that he was a mediocre at best player for the Minnesota Twins for parts of 6 seasons. Boston decided to go after the slugger after showing some signs of life in 2002. He was able to hit 20 home runs for the 1st time in his career, and the Red Sox needed someone to provide power in the middle of the lineup. He has never really been able to play a position, but he is one of the best hitters for power and average in this generation. 2 seasons ago, he was still able to. 38 home runs while driving in 103. That got him in the top 10 in MVP voting for the 1st time since 2007. Boston went on to win the title, and then in 2013 he was MVP of the World Series. Many people look at his performance in 2013 as one of the best ever, as he hit .688 with 2 home runs and 6 RBI against the Cardinals. Most would agree that he has been able to put up Hall of Fame caliber numbers, but we all know by now that those with any connection at all to performance-enhancing drugs will find it difficult to make it to Cooperstown. Regardless of whether or not he gets recognized there, people in fantasy baseball 2015 are still going to count on him even though he is about to be 40 years old. Not only that, but he will be remembered in Boston forever thanks to his work on and off the field. The last week of the regular season got the Dominican Baseball Guy excited for baseball again. As, a Rangers fan we have had some tough years in the playoffs, and this year was no different. After making it to a wildcard play-in game they lost to the Devil Rays. I am not a fan of one wildcard team, so I think two is rather ridiculous. Play 162 games to let a wildcard team sneak in and get hot, beat a team like the Mariners in their record wins year of 2001 have to play a wildcard team? But as a fan of a team that just sneaked into the wildcard play-in game, I must say I loved it. It was an exciting week no whether your team was playing or not. I want to tell my people in the Dominican Republic to follow this game. "There are two Dominicans on the mound. I want to give advice to all the youth in the Dominican that you have to work hard and to continue working hard to do things like this. Francisco Lirano dominated, and the Pirates won easily. His up and down play has been well followed here at the Dominican Baseball Guy. A true natural in my opionion. A near Cy Young and Rookie of the Year sweep in 2006 before getting hurt in August. He never really recovered from Tommy John surgery...until 2010 really. An entire missed season (2007) and two bad years. Then in 2010 he returned to the Dominican Republic to play Winter Ball. He had an insane winter season, leading Escogido to the championship and then pitched well in the Caribbean World Series. It was cool having a guy of his magnitude playing daily in the Dominican Winter League that year. But he was still erratic. After another Cy Young-worthy year in 2010 he had a down year in 2011 and 2012, and then signed with Pittsburgh for this year. And everything seemed to click -16-8 and a 3.02 ERA. And last night in the NL Wildcard game was one of the good nights. His slider was as good as it has ever been, with Reds batters swinging at it in the grass two feet from home. Vintage Liriano, allowing one run in seven innings. The Reds scored another run in the 8th, but they were never really in it. Andrew McCutchon was doing his thing running all over the bases. He had two hits and two walks. It seemed like he was on the bases all night. Marlon Byrd had two RBI and Russel Martin had two homers. The game was over by the 4th inning the way Liriano was pitching. The other Dominican pitcher did not fair too well. Johnny Cueto was said to have been rattled by the raucous Pittsburgh crowd. To which manager Dusty Baker said at the post-game presser: "he did not get rattled he just couldn't hit his pitches. He played in the Dominican Winter League and all that, and if you have been down there you know how intense those games are." Interesting side note. I love that quote. Baker insulting the reporter by implying that he has never been to a Dominican Winter League game at the same time as brushing off his questions as ridiculous. In the end it was all Liriano. "We had the expectancy to win," Andrew McCutchen said to the AP. "When he showed up with his suit on, that got me hyped up." 9th All-Star Game. Photo by Aaron Donovan. The 2013 MLB All-Star Game features a a record nine Dominican baseball players. The total number of Latin and Dominican players has been on the upswing over the last decade-plus, and those higher numbers of total players undoubtedly leads to more Latins and Dominicans participating in the mid-summer classic. Last year in the 2012 All-Star Game eight Dominican players were featured in the game. The American League All-Star roster features starters and perennial All-Stars Robinson Cano, Jose Bautista, and David Ortiz. It also features Dominicans Bortolo Colon, Jhonny Peralta, Nelson Cruz, and Edwin Encarnacion. No shortage of drama here, as you can see that Colon, Peralta, and Cruz are all mired in steroid accusations and could be suspended before the end of the year. But alas, they have been named to the team. Featured on the National League roster are just two Dominican players. Jean Segura is appearing in his first All-Star game, after just a little over a years in the majors. He had a respectable season for part of last year with the Brewers, and then he tore up the Dominican Winter League in the off-season with the Gigantes del Cibao. The other Dominican player on the National League roster is Segura's teammate in Milwaukee Carlos Gomez. This is the Dominican players that plan to play as of now. The Dominican Baseball Guy is somewhat perplexed at the All-Star carosuel. I beleive Colon is out due to injury or he is a replacement player, but is not playing. I thought Cruz was out injured as well. Big Papi will probably come up once, swing for the fences, and sit down. Who really knows? In the end, nine Dominican players have been named to the 2013 MLB All-Star game. We will all tune in tonight to see which ones play. to World Baseball Classic championship. Another World Baseball Classic has come and gone, and once again, overall fan interest was hit and miss. In the United States, even the games including the home country were dismissed as nothing more than exhibitions. However, starting with the Dominican Republic’s win over the United States of America, those watching the event could tell how much this competition meant to the small island. After beating Puerto Rico in the final 3-0, the Dominican Republic capped off the tournament with an 8-0 record. Head coach Tony Pena knew going in he had a strong team, but winning eight games in a row in baseball against the best players in the world is no easy task. When the United States and the Dominican Republic got together in Miami, the crowd was pro-Dominican. The team played with passion, celebrating runs and strikeouts like Little Leaguers. While some old school baseball fans frowned at this, the team continued to play with passion for their country. The team played the game, and the tournament for that matter, the way organizers wanted it to be played when it was first developed. Baseball is no longer in the Olympics, so this is the premier international event. The Dominican Republic did not send all of their stars, but fantasy baseball favorites Robinson Cano, Hanley Ramirez, Jose Reyes, and more definitely made sure the team had talent. After dominating the tournament, the Dominican Republic can officially say that the best baseball is played on their island. People can obviously debate that claim in a number of ways, but they proved it at this moment on the field. If more countries can follow their methods, the World Baseball Classic could rival that of the World Cup in soccer or the Olympics in basketball. It just takes getting the best players to play with pride for their home country. Can the Dominican Republic Win the World Baseball Classic? After a semi final loss in the first World Baseball Classic, and a national catastrophe first-round exit in 2009, the Dominican Republic has the pressure of the nation on them to win their first world title in the unilateral national sport. Even Dominican President Danilo Medina recently implored the Dominican team to 'lift up the country' with their World Baseball Classic performance. Anything less than winning the whole thing will be a disappointment in the country with more MLB players per capita than any country in the world. There were 95 Dominican Baseball Players on MLB Rosters 2012, which was 11% of the league. 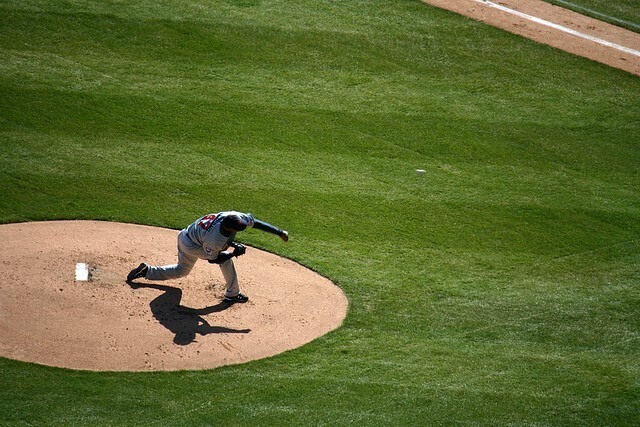 Virtually everyone in the country has an opinion about baseball, known as 'pelota' or simply 'ball' in the Dominican Republic. Dominican short stop Jose Reyes talked with USA Today. "The first two Classics were a bit disappointing for us. We had great teams and didn't do much," said Reyes. "This time we want to bring the crown back to the Dominican people." Dominican native and MLB veteran Moises Alou has been a successful General Manager for Escogido in the Dominican Winter League, and he is heading up the World Baseball Classic team as well. He has replaced the power laden lineup from 2009 with a lineup based on speed and contact. Dominican players like Reyes, Erick Aybar and Alejandro De Aza fit that mold. Even the power heavy players like Robinson Cano, Hanley Ramirez, Edwin Encarnacion, Carlos Santana and Nelson Cruz are more rounded than power players like Jose Bautista and David Ortiz in previous years. The bookies tend to agree with Alou and the Dominican public. The Dominican Republic is a 3-1 co-favorite to win the World Baseball Classic. The team has backed up this confidence from the public in their two exhibition games, beating the Phillies with 30 hits Tuesday and downing the Yankees 8-2 on Wedensday. bench coach for the Yankees. The Dominicans, led by Yankee bench coach and former big league Dominican native Tony Pena, look to build on this chemistry. Their first game is Thursday evening in Pool C in San Juan, Puerto Rico. Team Dominican Republic could even add Adrian Beltre to the All-Star heavy lineup in the second round. "We take a lot of pride in trying to be the best we can. We have a lot of players that play in the big leagues, so we have quite a list of players," Beltre told ESPN. "Coming into the Classic the first time, we thought we'd do a better job than we did as a team. After that, we didn't meet our expectations, and I think the fans and the players were more into it because they know we can do better." "Every three or four years, they expect us to do well. They look forward to it." Tony Pena is a legend in the Dominican Republic. Expect him to bring together all the high priced talent and lead them to the final round. On paper they are certainly one of the top two teams, along with the USA. They should see Asian bracket winners Japan and Cuba in the final round. For more information on the tournament see the official World Baseball Classic site. The New York Yankees are excited and relieved in equal measures with the return of Alex Rodriguez at a very crucial stage of their campaign. Rodriguez will be looking to help his team equal the season’s longest winning streak when they face the struggling Oakland Athletics on Thursday night. Just last week, Hal Steinbrenner, the owner, said that Rodriguez is a great asset, although not everyone in New York is as thrilled about his return after he was suspended the whole of last season for using a banned substance. The designated hitter, at 39 years of age, was instrumental in the three game sweep of Kansas City who are the reigning AL champions. He hit a three run shot on the 4-2 victory on Wednesday for his 11th homer of the season. He marked an impressive 1,995 RBIs to overtake Lou Gehrig 1,993 RBIs to record the most in the history of AL. It is also a great opportunity for those who wish to get involved in the betting battle. Check it out, the MLB odds in this betting preview to make the best decisions. In the 2013 season, Rodriguez featured in only 44 appearances for his team after being sidelined with a hip surgery. In an interview, he admitted that despite being out of any baseball action for 2 years, he feels like he is in a good place, happy and having fun. He saw the spell as an opportunity to rest and get his energy back; the reason why he saw this spell as a blessing in disguise. He feels explosive as he seeks to build on his .375 average in the last 13 encounters with the A’s, but he hasn’t faced them since 3 years ago. Strong pitching is the other thing that places New York in a better position to match its season’s best four-game winning streak. The other player on our radar is CC Sabathia. This season, he has had his worst performance ever, despite going for nine straight years without injury. Sabathia was responsible for six of the 10 Texas’ 10 runs on Saturday’s 15-4 loss. However, the six-time all-star has won his previous two road starts where he owns a 3.48 ERA after six starts compared to the 11.77ERA at home. After losing his two starts in 2013 against the A’s he has a 6.00 ERA. Out of the 8 on road matches, the Yankees have dropped seven of them and nine of the 10 matches in Oakland. However, the A’s still hold the worst record at home at 6-16 given that they have lost six of the seven home games after the 3-2 loss on Wednesday to Detroit. Kendall Graveman will be the man that Oakland will be turning to after he has impressed since he was recalled from Triple-A Nashville. 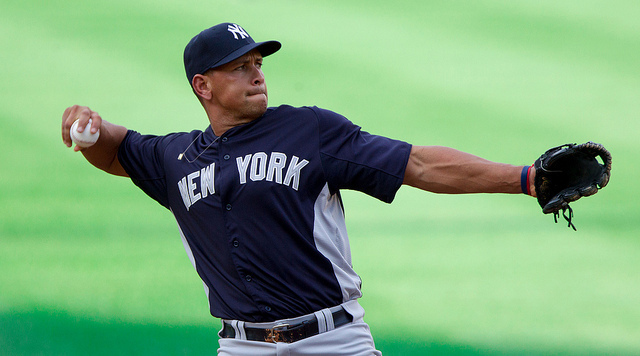 The right-hander has never faced the Yankees, but he featured on the opening day roster, although he went 1-2 in four starts before he was sent down with an 8.27 ERA. Graveman was impressed with his performance as he told the MLB official website that he felt comfortable in the game. His movements were good, he located the fastball impressively and whenever he was required to change his speed, he did it well. 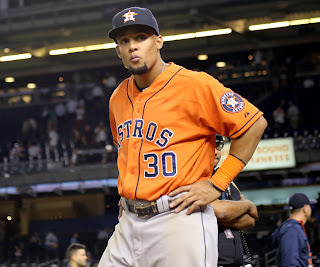 Anyone that has ever visited the Dominican Baseball Guy blog knows that Dominican players have figured prominently at all levels of Major League Baseball in recent years. The total number of Dominican baseball players on MLB rosters 2012 was 11% this year. That number has remained steady and grown in recent years, and it holds up in the playoffs for the most part. This year there are nine Dominican players in the World Series out of a total of 50 players. The total 18% of players coming from the Dominican Republic nearly doubles that regular season percentage. Further, according to Latino Voices on the Huffington post, 22 Latino will play in the World Series. Nearly half of the World Series players come from Latin America! And that means the Dominican Republic and Venezuela for the most part. The two countries are the Latin baseball power houses of the MLB. USA Today and the New York Times felt the need to point out the banner year for Venezuelan players in the World Series, as there are also nine Venezuelan players, including the recent triple crown winner Miguel Cabrera. And they failed to mention the equal number of Dominican Republic baseball players in this year's World Series. Dominican players have featured so prominently in both the regular season and the playoffs in recent years, that perhaps major publications do not see it as newsworthy that their are a lot of Dominicans in the World Series. Last year there were eight Dominican players in the World Series. Pedro Martinez, David Ortiz, and Manny Ramirez, among other Dominican players, have dominated on the biggest baseball stage of them all. Dominican natives have summed up what it means to have their countrymen competing on the biggest stage. A librarian in San Francisco de Macoris, Dominican Republic said years ago that "we root for whichever team has more Dominicans. They remind me of players that I have seen in my own town, so we want them to do well and represent our country." Juan Uriste, another Dominican baseball fan from San Francisco de Macoris told the Dominican baseball guy through email that "Dominicans are following the series closely as always, but we don't know who to root for because both teams have several Dominican players each." They have their choice of the Tigers who feature six Dominicans on their active roster: Jhonny Peralta, Al Alburquerque, Joaquin Benoit, Octavio Dotel, Jose Valverde, Ramon Santiago. Or, the Giants who have pitchers Santiago Casilla and Guillermo Mota, and position player Joaquín Árias on their World Series roster. Pretty incredible that a country of just 15 million people could put that many players in the World Series, compared to the 300 million people and the 25 or so American players competing. The percentages are simply astounding. The 2012 NLCS is under way and the Cardinals currently lead the Giants 3-1, and are looking to clinch the series tonight in San Francisco. There are some Dominican players in this years NLCS, but not as many as we have seen in other playoff series. The Cardinals have a whopping zero Dominican players on their roster, after having one of the top Dominican baseball players of all-time on their roster for over a decade, in Albert Pujols. They do have Miakel Cleto, Victor Marte, and Rafael Furcal on their 40-man roster. Furcal, the twelve year MLB veteran was a major part of the Cardinals World Series championship last year and a big part of the team this year, as he made his third All-Star game. Also a former Dominican Winter Baseball League player and a Caribbean Series All-Star in 2008, Furcal injured his elbow at the end of August and has not played since. 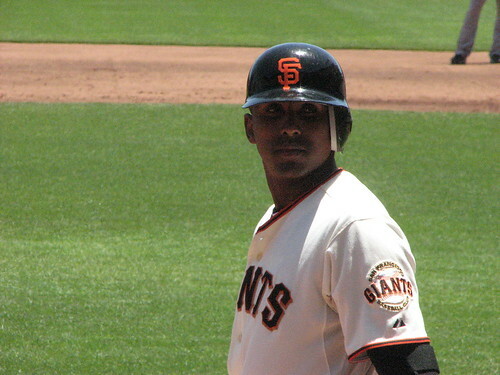 The Giants have several Dominicans on their active roster for the NLCS. Playing for the Giants will be pitchers Santiago Casilla and Guillermo Mota, and position player Joaquín Árias. Interesting that Árias appeared in 112 regular season games, even though he was not an everyday player. He seemed to be the first pinch hitter off the Giants bench and has continued that role through four games of the NLCS. Thus far, the two year MLB player has appeared in five post season games and has three hits. Santiago Casilla is in his ninth MLB season, and got his first chance to be an everyday closer this season. With 25 saves on the year and a 2.24 ERA, Casilla was entrenched as the closer until he injured his fingers. The Giants then went with a closer by committee approach, but Casilla could still be called upon to close some NLCS games. So far in the playoffs, he has pitched 4.1 innings and allowed just one earned run. Guillermo Mota has been a solid mid-inning reliever in the big leagues since 2002. He appeared in 26 games this year with the Giants, and has pitched 1.2 innings in the playoffs and allowed four runs. A 21.6 ERA is not a great start, so I doubt to see him much more unless the Giants are in a bind. While the Dominican players in MLB playoffs on American League rosters was 16% of all players, in the NLCS only 6% of the players are Dominican natives, way off the overall MLB percentage of Dominican players. to be major factor in the 2012 ALCS. The ALCS is here, featuring the Yankees and the Tigers, and as usual there are a number of Dominicans players in this version of the league championship series. The Yankees have Robinson Cano, Rafael Soriano, and Alex Rodriguez. Does he count? That subject has been broached time and time again here at the Dominican Baseball Guy and I say no, he is American not Dominican. 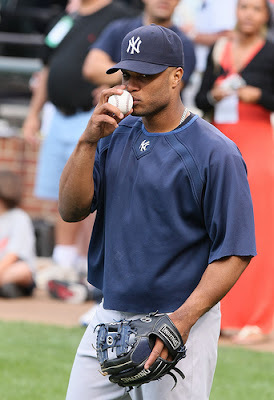 Already a Dominican legend half way through his career, Cano was a pre-season MVP candidate here at the Dominican Baseball Guy and he did not disappoint. Cano got went to his third strait All-Star game and should see his third strait Silver Slugger award. He was in the top-12 in the AL in average, home runs, and RBI. This could be his year to get the MVP of the ALCS is he can get some clutch hits. Rafael Soriano is a haus at the back end of the Yankees bullpen. After Mariano Rivera went out with an injury, Soriano came in and did not miss a beat. He ended the year with 42 saves and a 1.17 WHIP. He also threw more than one strikeout per inning on the year. If he gets a chance to save some games he will do it at a very high percentage. The Tigers feature six Dominicans on their active roster: Jhonny Peralta, Al Alburquerque, Joaquin Benoit, Octavio Dotel, Jose Valverde, Ramon Santiago. While they do not have the star power the Yankees have, they certainly have the numbers with six Dominican players out of their 25-man active roster. Jose Valverde is another Dominican haus closer at the end of the Tigers bullpen. Throwing only a fastball and a splitter, Valverde epitomizes a power closer. He had the third longest saves streak ever back in 2011. Even though he blew a save last round, look for Valverde to be perfect if he gets any save opportunities. The Tigers Dominican infielder Jhonny Peralta is little known for having been an everyday player over eight seasons. He actually played in the playoffs back in 2007 with the Indians...they made the playoffs that year? He made his one and only All-Star team last year with the Tigers, but was down from those numbers this year. But he is just the type of journey man player that could show up big in a playoff series. The other Tigers will be coming off the bench, and should not factor in a major way. The Yankees also have Dominican players Ivan Nova, Zoilo Almonte, Eduardo Nunez, and Melky Mesa available on their 40-man roster. And the Tigers have Luis Marte on their 40-man. Total, that comes out to eight Dominican players out of 50 on the ALCS active rosters, and 13 Dominicans out of 80 on the total rosters. Or 16% of the players in the ALCS are Dominican natives.